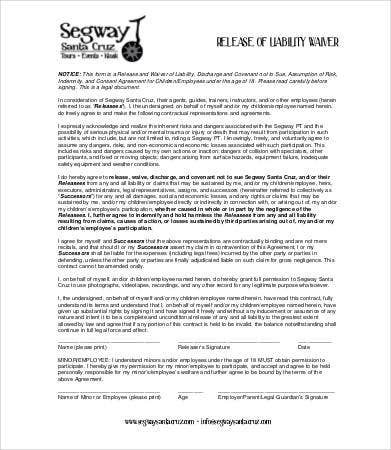 A Liability Waiver Form is also called a hold harmless agreement. 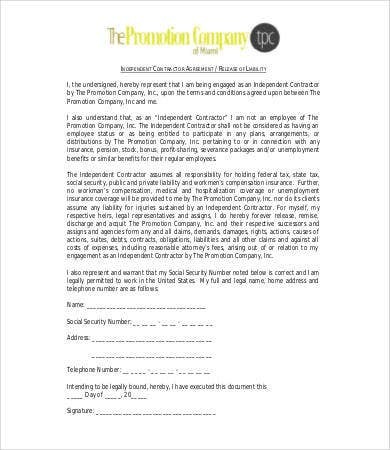 It is an official document signed between two parties who agree to hold each other “not guilty” of any damages, expenses, or personal injuries that arise from their professional partnership. 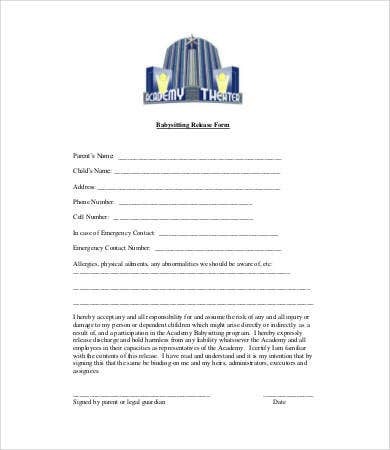 These forms are signed in anticipation of any possible accident or personal injury, and so you will most often encounter these kinds of forms before getting involved in any kind of risky venture. Perhaps you own an extreme sports enterprise, or perhaps you are merely organizing a field trip. 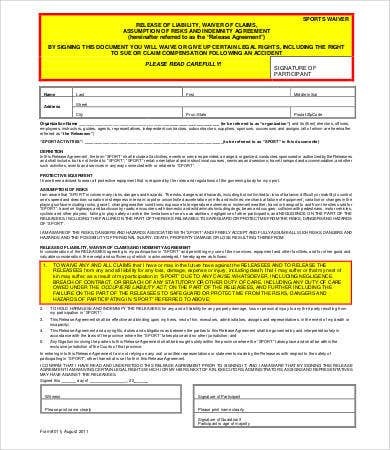 These professional-grade free samples will help you draft your own waivers to keep you from being sued. 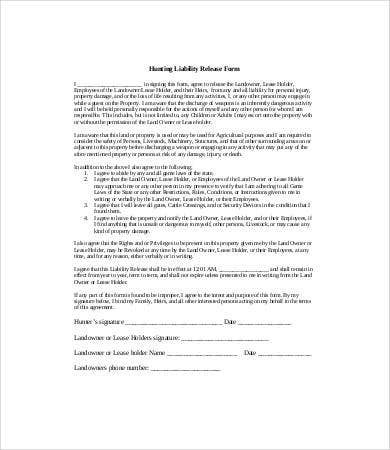 You will want your participants to sign a waiver if you are the owner, host, organizer, or sponsor of a risky activity. This will include enterprises such as paintball fields, ice-skating rinks, scuba diving lessons, a marathon for charity, or even a grade-school class field trip. 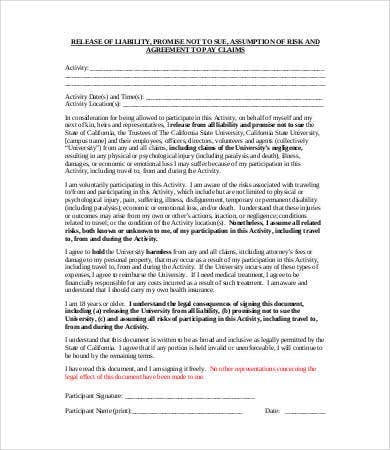 These forms are agreements stating that the participant is making an informed decision about participating despite the explicit risks. This will protect your business from legal action if they then decide to hold you accountable for any injury. 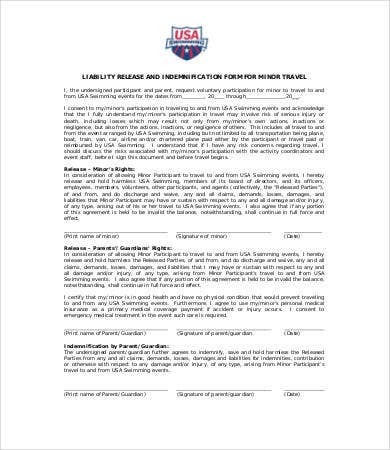 Like an Order Form Template, these are agreements for a future scenario. Legal ways to keep your hands clean. 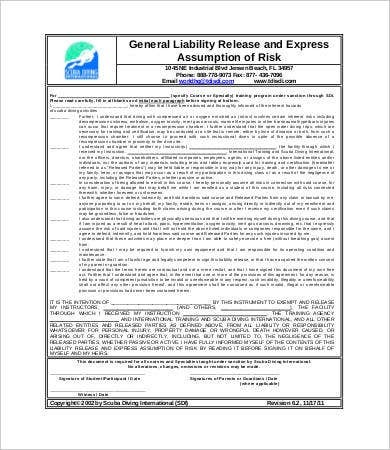 Note: Such a waiver will not help you if the accident had been preventable and was caused due to negligence on your part or that of your business. 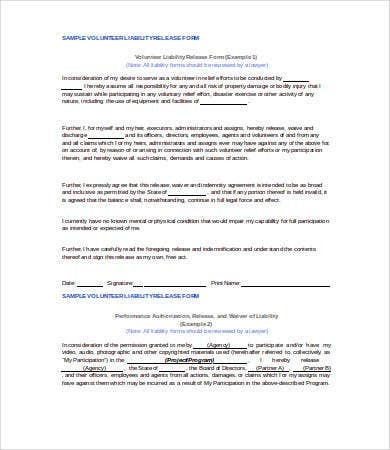 volunteer liability and babysitting liability. Feel free to download any and all of these as reference points or immediate templates. Bonus tip: Prevention is cheaper than cure, and liability waivers are only one tactic of many. 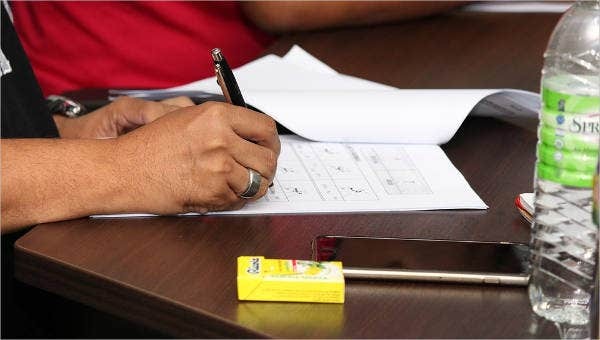 Sometimes having a proper screening in place to weed out potentially problematic volunteers can help prevent occupational disaster. 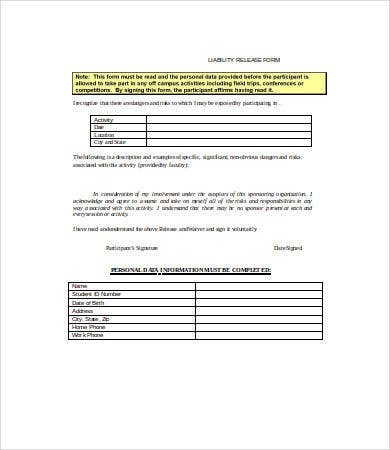 In this case you’ll want to find a comprehensive Application Form Template to streamline that process.